Hulda is a little too untidy, too adventurous, too wild. For these crimes, she is dragged from her home and buried in the snow where the cold seeps into her bones. When she comes out of the forest, she curses her village that they should feel the pain she felt. Now when the young girls in the village hear her voice in their heads, they are dragged away as Hulda once was. Kept isolated under her parents watchful - and fearful - eyes, Milla doesn’t know about the curse until it comes for her new friend, Iris. Though Milla has been raised to believe that fear will keep her safe, her love for Iris propels her out into the world for a way to break the curse and free the girls it's taken. 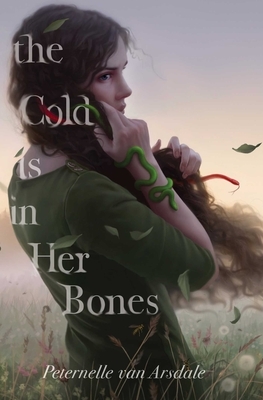 The Cold Is in Her Bones is everything you want in a creepy, atmospheric, feminist fairy-tale. This book is for the witches, the girls who speak their minds, who get their hands dirty, who question everything, and who refuse to let fear or convention rule their lives.